Collocations are verb + noun or verb + adjective combinations that make an expression. They are one of the keys to learning to speak English well and if you teach them in your lessons your students will love you for it. 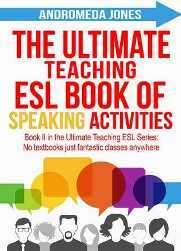 This list has been compiled over my five years of teaching and includes over 80 collocations and now here they are ready for you fellow TEFL/EFL teachers. To make things extra easy, you’ll can download a PDF handout below to use in your class. Enjoy! Looking for more TEFL vocabulary lessons? 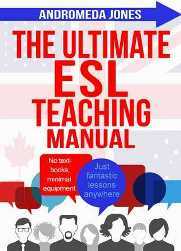 You can find over 60 vocabulary lists as well activities covering every ESL grammar point in our 335 mega-book The Ultimate ESL Teaching Manual. Want to teach TEFL online? 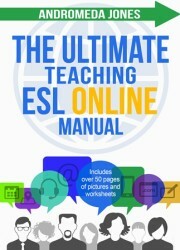 Then check out our new EFL book; The Ultimate Teaching ESL Online Manual.